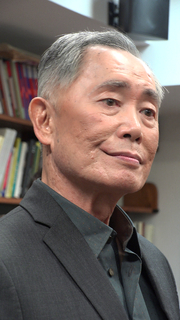 Star Trek’s George Takei signing Kevin Keller #6 from Archie Comics! Midtown Comics is honored to welcome legendary actor, Star Trek helmsman and internet sensation, George Takei! Join us as we celebrate the release of the all new Kevin Keller #6 from Archie Comics and get your copy signed by George at our Times Square store on Wednesday December 5th starting at 9pm. Kevin Keller’s creator, writer/artist Dan Parent, will also be in attendance! *Purchase of Kevin Keller #6 is required to attend the signing. George Takei is currently considered a "single author." If one or more works are by a distinct, homonymous authors, go ahead and split the author. George Takei is composed of 3 names. You can examine and separate out names.